This complete system includes our 4MP (2K) IP Security Cameras. The cameras are weather proof and vandal proof, made of metal, and can be used indoor and outdoor. They also have infrared LEDs enabling night vision of up to 100 foot in complete darkness. Another unique feature is built in WDR (wide dynamic range). WDR compensates when there is bright sunlight and shade in the same area or image so you can still make out important details. Record video 24/7, on motion, or on schedule with our IP Network Video Recorder. View your business or home over PC's, tablet, and cell phone devices. This system comes with a free cell phone app and remote viewing software so you can watch video live and review previous video. There are no monthly fees. Additional NVR recorder features include new H.265 compression technology, enabling more video storage than the previous H.264 technology offered. This super high definition system comes with everything needed for installation. It is backed with unlimited USA support, a 3 year warranty, and money back satisfaction guarantee. Get many years out of this "cutting edge" IP 4MP system! The network video recorder is the backbone of a surveillance system. Our "PRO SERIES" IP Network Video Recorder is regarded as one of very best and easiest to use. The user friendly intuitive graphical user interface makes the NVR easy to program your system settings with the included mouse. This graphical user interface is very important. This is where you will store video, name each of your cameras, set up remote internet viewing, program motion alerts, review time and date stamped archived video and much more. Our "PRO SERIES" IP NVR supports IP cameras of up to 4K definition. Our NVR has built in POE (Power Over Ethernet), eliminating the need for additional power outlets at the camera location. Record 24/7, on motion, or on schedule. 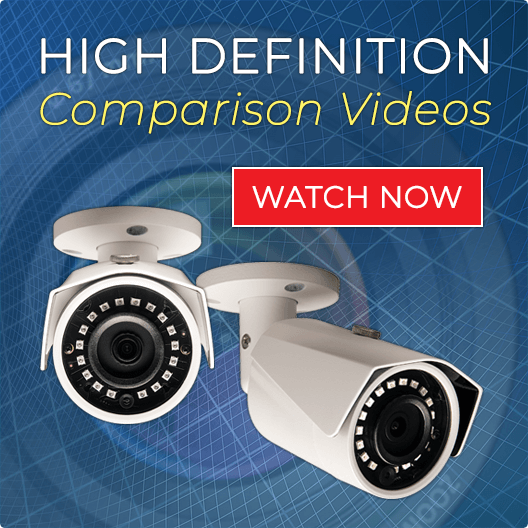 All of our new "PRO SERIES" NVRs have what is known as H.265 compression. As good as H.264 was for HD resolution, its ability to evolve to handle the demands of our latest and greatest high-definition imaging formats such as 1080p, 2K, and 4K is limited since higher definition cameras stored in H.264 creates a proportionally larger file. H.265 technology expands on the efficiencies of the H.264 compression standard by generating the highest-quality video images in the smallest video file possible. What this means to you is a better quality picture and longer storage due to the small video file size. Leverage Internet technology! Plug your Network Video Recorder into your Internet connection (modem, router, etc) and view your security cameras live 24/7 from anywhere on a PC, Tablet, or Cell Phone. There a NO ADDITIONAL FEES. Review your past video and live video remotely anytime, anywhere, and anyplace. Record your video 24/7, on motion events, or on a particular schedule. Save tons of time with fast and easy review of your time and date stamped video. Individually customize the settings of each camera for motion alerts, motorized zoom camera control, object masking, and much more. Choose from a variety of screen displays with a click of a button to focus in on your most important cameras. Use the built in digital zoom on any cameras to get great closeups of any area or object. The cameras included are our super HD 4 Megapixel IP Vandal Dome Security Camera. 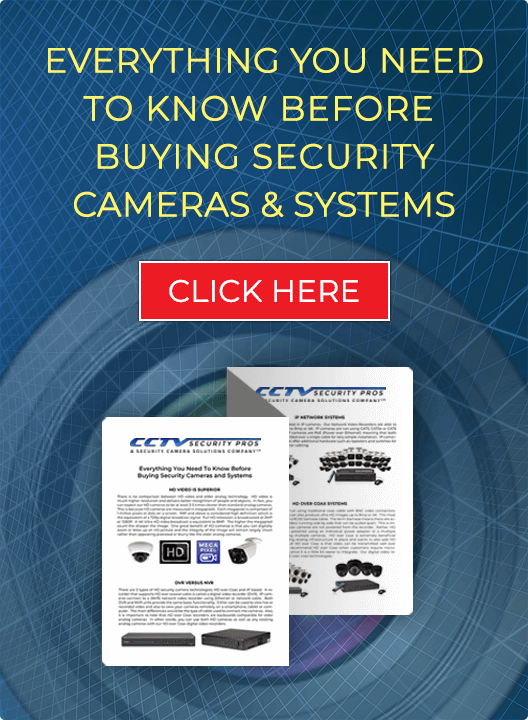 This is an ideal security camera for both indoor and outdoor applications. This camera has an aesthetic design that easy blends beautifully into interior decor. This IP dome camera is both wall and ceiling mountable. This camera has a feature called Digital Wide Dynamic Range. This means that the camera can automatically compensate and deliver HD images even in challenging sunlight issues. The camera has a 2.8mm lens for a super wide 106 degree angle view for large area video coverage. The cameras have infrared illuminators and can up to 100 foot in complete darkness. Finally, the camera is made of metal and is vandal proof. IP Cameras are installed easily with CAT5 cable. Our HD IP systems offer Plug and Play Installation. All CAT 5 cables and connections are included with this system. You may run each camera up to 328 Feet (or more with our optional POE switch or POE extender). Installation of our Network Video Recorder and IP Cameras are simple and easy. The NVR will automatically detect your IP Camera on the network. Utilize our Quick Start Guide (included) for answers to your most common questions. We also include LIVE USA Technical Support available Monday to Friday. We are happy to answer any questions and assist you at (888) 653-2288. This COMPLETE High Definition IP Security Camera System comes with everything needed for complete installation. Our systems include a Satisfaction Guarantee, 3 Year Warranty, and FREE USA Technical Support. Called support and they walked me thru a couple things. I believe I spoke with Nick. Very kind and helpful.